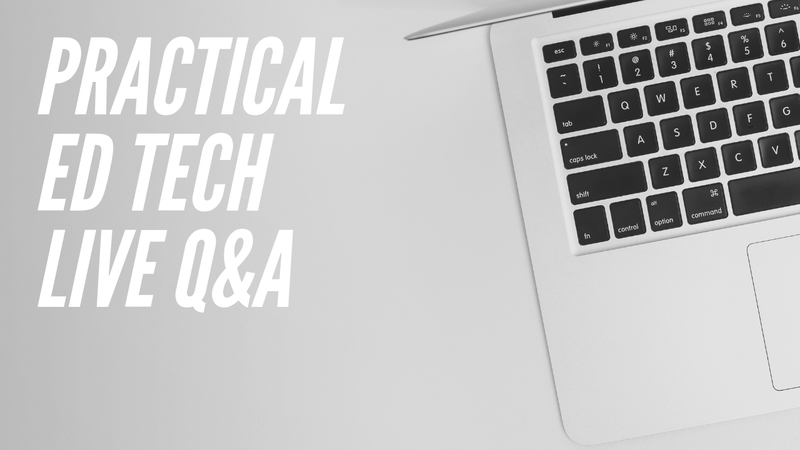 Free Technology for Teachers: Join Me on Wednesday for Practical Ed Tech Live! Last week I hosted my first live Q&A session of the year. A handful of you sent me questions last week and I enjoyed answering them. A few people sent me questions after the broadcast. I'll be answering those and any new questions this Wednesday at 4pm Eastern Time. You can send questions in advance through this Google Form or join the live broadcast on my YouTube channel and Facebook page to ask questions during the broadcast. Subscribe to my YouTube channel to get a notification when the broadcast begins.